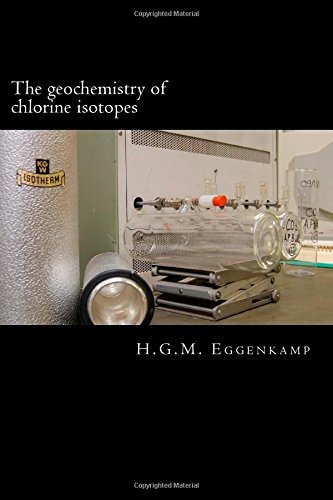 In the following pages I try to list as many as possible the references of articles published in peer reviewed journals on the subjects of chlorine and bromine stable isotopes. To avoid that the list will become too long it has been devided in shorter lists. As the number of publications has increased considerably in the last decennium the older lists contain publications from a considerably longer time interval. The newer lists are made not shorter than five years to avoid having too many lists. At this moment there are five lists, consisting of publications in the following ranges of publication years. If an article has a doi (digital object identifier) it is noted in the entries. If you click on a doi it will open a window showing the webpage of the article at the publisher's website. From university computers this often means that the pdf of the paper can be obtained this way. From home and other non-university computers it normally only gives you the opportunity to read the abstract, but this will generally give enough information to assess if the paper is of interest. The information normally contains contact information for the corresponding author, from whom in general a pdf (or off-print) can be obtained. The number of papers published is rather high in the last few years, and several have subjects that I am not very familiar with. This will probably be the reason that I will have missed several articles. So please, if you discover that I forgot one of your papers (or papers from one of our colleagues), please inform me and I will add the paper and the doi (if available) to the list. There is also a page with a list of my peer reviewed papers, with links to the DOI or the full version of the paper, and a page with a list of the conference presentations I was connected to. I am currently collecting abstracts from the various conferences and will add them to the page on a regular bases. 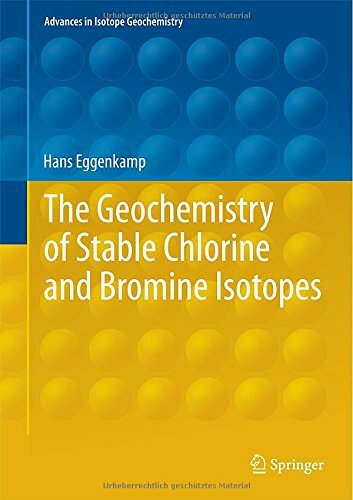 In 2014 I published with Springer a textbook containing our knowledge on chlorine and bromine isotopes up to early 2014. This bookis available from Amazon.com. For those people who are still interested, unfortunately no hard copies of my PhD thesis are available from me anymore (as I have none of them left). It is however now available as a print-on-demand publication, also via Amazon.com. I hope this information is of use to the stable halogen isotope community.